Since the ancient days, it has been foretold that we would do this episode. 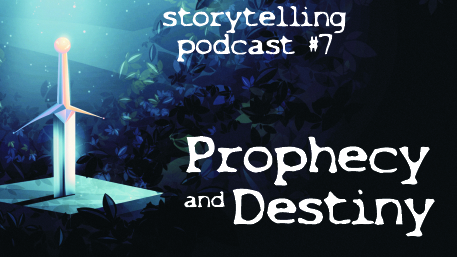 We talk about the role of prophecy and destiny in storytelling, which turns out to be huge. We also spoil the ending of almost every movie ever made. Get cozy with a nice cup of tea and an apocalyptic vision of impending doom and enjoy the Audio Epics Storytelling Podcast with Domien and Eline!